You are here: Home / Blog / Q&A – “How can content subtly sell content marketing? 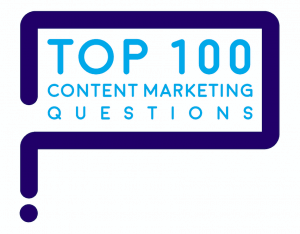 Q&A – “How can content subtly sell content marketing? A free taste subtly sells. You can subtly sell content marketing by celebrating, teaching and inspiring your tribe. Learn everything about your tribe’s passion. Make content that feeds your tribe’s passion. Your tribe will love you for it. Your tribe may or may not know what is “content” or what is “marketing.” Yet they want to be informed and entertained about their passion. Farmers read The Furrow to run their business better. Travelers and foodies love the Michelin Guide. People aspire to get their name into the Guinness Book of World Records. Great content marketing can work for decades, even a century or more. The Furrow, the Michelin Guide and the Guinness Book of World Records are the forefathers of content marketing. They became successful content marketers decades before the term “content marketing” was coined. Long ago, these brands figured out exactly how to feed their tribes’ passions and subtly sell content marketing. Successful content marketers still follow their playbooks today. If you have a need to subtly sell content marketing, chances are your executives or company are still debating the value of content marketing. Do they ever use an ad blocker? Do they fast-forward through TV ads? Do they ignore radio ads? Billboards? Do they throw away junk mail? Do they ignore newspaper and magazine ads? If advertising can’t break through to your executives in their day-to-day lives, why expect it to break through with customers? Marketing is evolving because people don’t want to hear ads that sell, sell, sell. Forward-looking marketers are building on insights from buyer persona research to learn which tribes their customers belong to. You could detect people saying “no” to advertising back in 2015. Now, it’s a much bigger challenge to get people to actually pay attention to an ad. Instead, people pay attention to the content they can control completely. Ad-free content like Netflix is taking over people’s attention. That’s why the power of advertising is dwindling. Increasingly, people skip the ads and search for what they want to know: content about their personal needs, business needs or their passions. That’s where the content marketing opportunity springs from. When you create valuable, educational, beautiful and fun content about a relevant topic, that salient content slips right past customers’ defenses. Adobe learned that people want content to be accurate, informative and simple. That’s why content marketing is rising. If your company doesn’t hook your customers on your content marketing soon, the chance to hook them may pass your brand by. So, what should you do to subtly sell content marketing? 1. Celebrate! Make members of your tribe into heroes. To be clear: your brand is not your customers’ hero. The real heroes of your brand’s story are your customers. Customer-heroes change the world by using products and services from your company. In the hero’s journey, your brand plays the essential and honorable role of a customer’s mentor or teacher. It’s the role Yoda plays in Luke Skywalker’s story. Create content users will share by making your customer the hero. To celebrate customers’ successes, use user-generated content (UGC), recognition and awards. Consider the leading global brand in terms of Instagram followers – National Geographic. It reached the heights with its #WanderlustContest,which brilliantly combines 3 UGC, recognition and awards in one content marketing powerhouse. The #WanderlustContest invited people to post photos for a chance to win prizes. More than 65,000 people posted photos on Instagram. From those user-generated photos, National Geographic built the ultimate travel photography slideshow on its website. 2. Teach before you sell. Great content enables you to become your tribe’s best teacher, as Marcus Sheridan says. Here’s another approach: Teach people what they need to know as buyers and users. Show buyers and users how to get jobs done easier or better by offering classes, how-to videos, guide books and checklists. Why teach before you sell? Here’s why. When you ask people if they had a favorite teacher or teachers in school, most say yes. Ask if they have a favorite salesperson. Few say yes. The greatest teachers understand your tribe’s passions inside-out. One of my passions is kayaking. Kayakers, canoeists and fisherman want to know about rivers, lakes and oceans — plus the equipment, techniques and organizations to pursue that passion. One of my passions is kayaking. The brands that know my kayaking tribe best sell me the most gear. 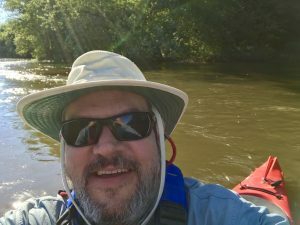 When I shopped at REI for a roof rack to transport my kayaks, the salesperson in the store was an experienced kayaker. He understood all the ins and outs – and recognized that I didn’t. I learned a lot from him. For instance, I learned that under the laws of the State of Illinois, a roof rack can’t be wider than your vehicle, measured from side mirror to side mirror. Without the guidance of my REI teacher-mentor, I might have bought a rack that’s too wide. My unguided buying decision would have led to a traffic ticket – or worse, physical entanglements on narrow rural roads. Perhaps I do have favorite salespeople, after all. My favorite salespeople are great teachers! Outdoor recreation brands do a fantastic job of inspiring their tribes. Hats off to REI for their unexpected boldness. With its #optoutside movement, REI created its own holiday, repurposing Black Friday into a day when REI stores close and everyone’s invited to go outside. What if your company starts a movement that your customer’s tribe can’t resist? Patagonia made a movie to tell the story of free-flowing water: Damnation. Every fisherman, kayaker and canoeist has witnessed the damage caused by willy-nilly placement of dams, most of which no longer serve any useful purpose. Dams hurt wildlife populations, degrade water quality and ruin recreational opportunities. Patagonia made these damn dams the villains they are – by making the ultimate movie about a cause its tribe fully supports. Opportunities to lead a movement for your tribe are everywhere. They’re not limited to outdoor recreation. For example, the LEGO movie invigorated the LEGO brand, already a leader in UGC. For each piece of content LEGO makes, its users generate 20 more! The LEGO movie blazed a new path in successful content marketing. To subtly sell content marketing, find out which tribes your execs belong to. Which content serves their passions best? Show execs and clients how they seek out and willingly use content when it’s time to pursue their personal passions. Help them see the value of great content in their own lives. By shining a light inward on their own consumption of marketing, executives become illuminated about the true value of content marketing. When you help execs connect the dots from their own passions to content marketing, you succeed. That’s the way to subtly sell content marketing. 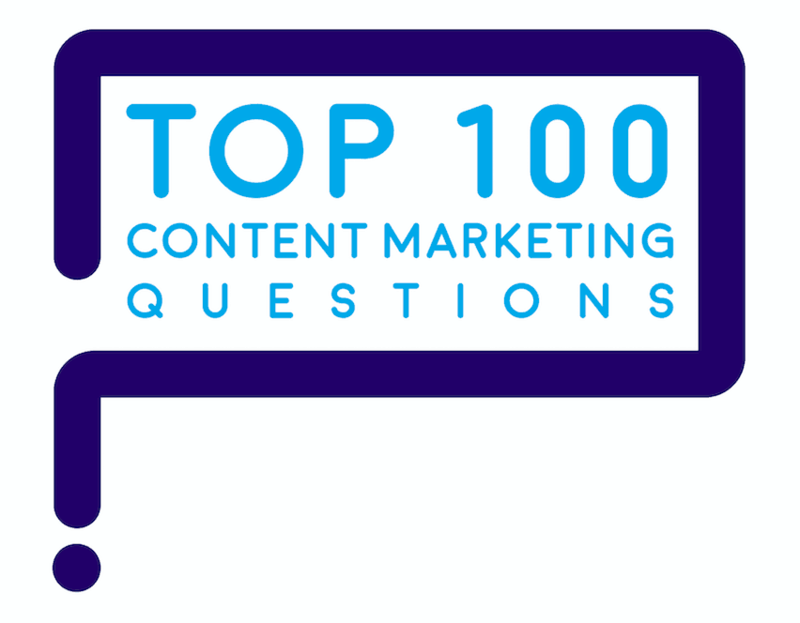 “How can content sell subtly content marketing?” is one of marketers’ top 100 questions about #contentmarketing.